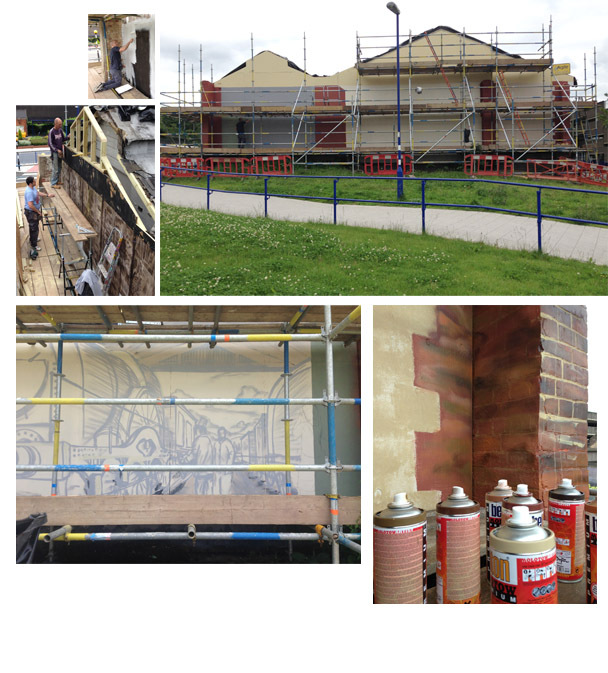 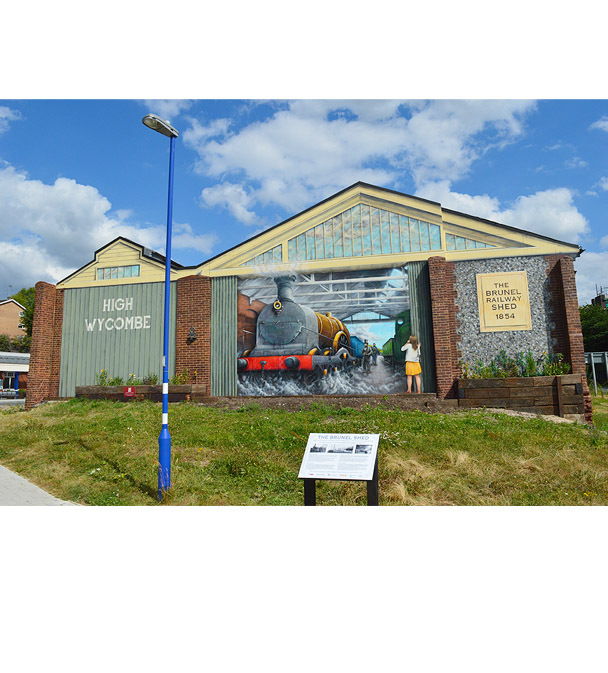 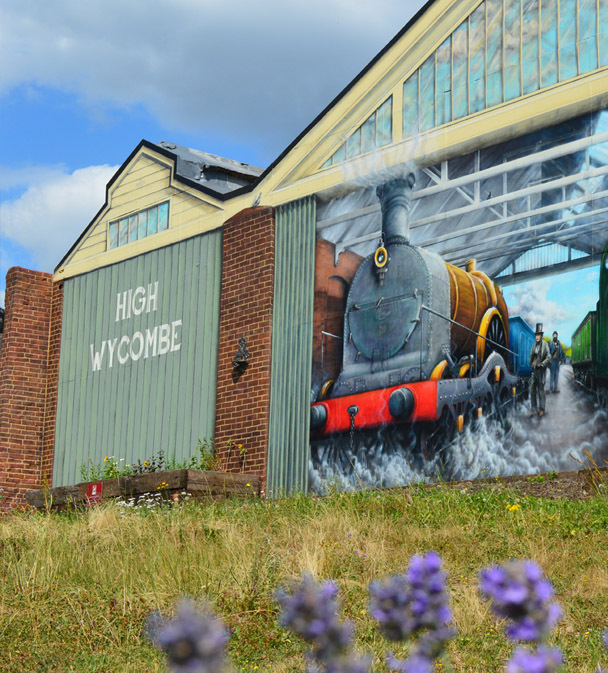 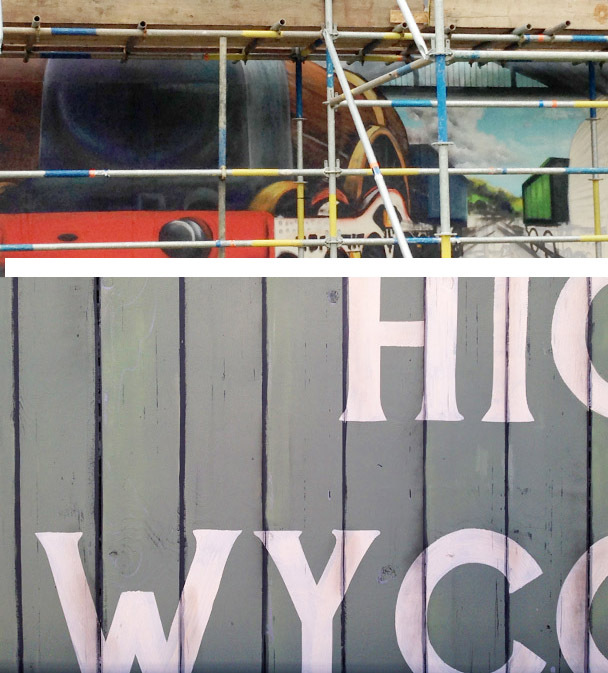 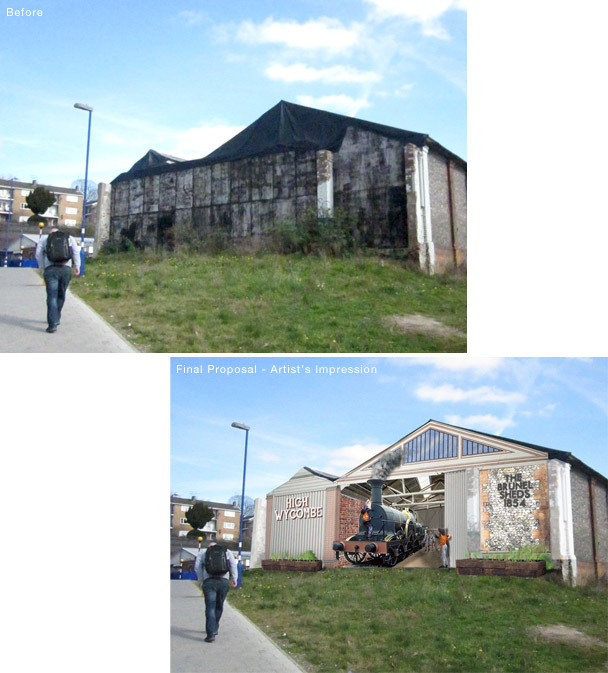 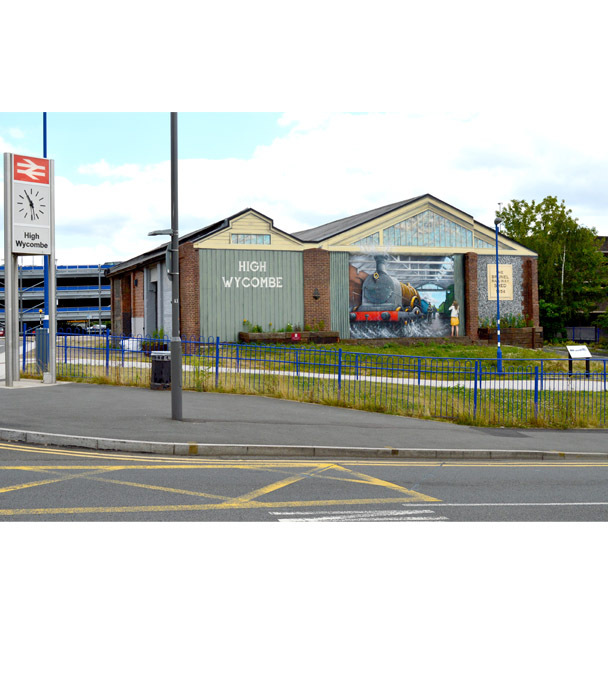 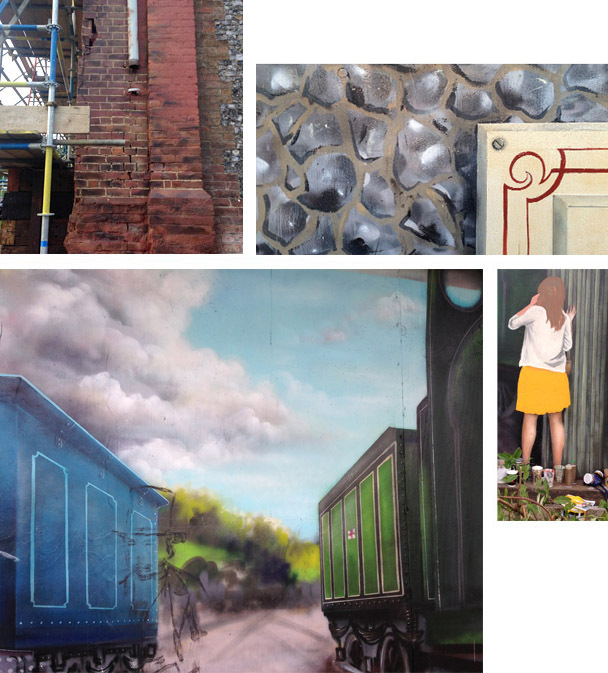 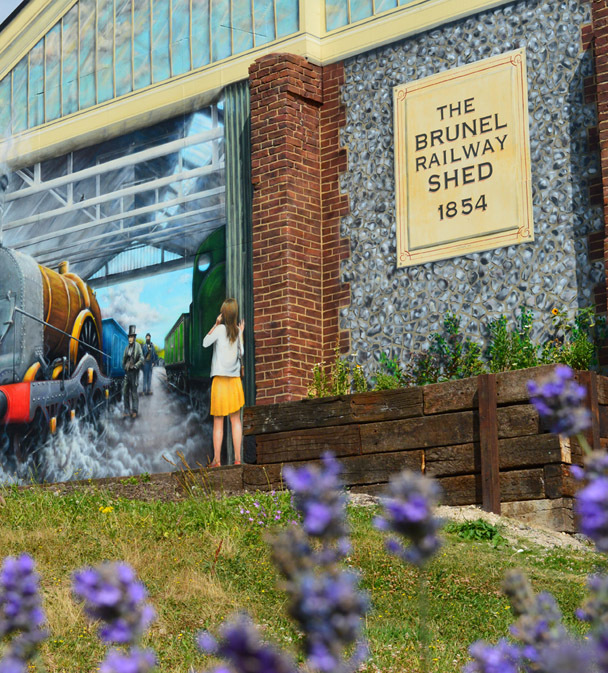 Designed & produced by Decreate, this high-profile mural at Wycombe Train Station raised awareness of the Grade 2 listed historical building. 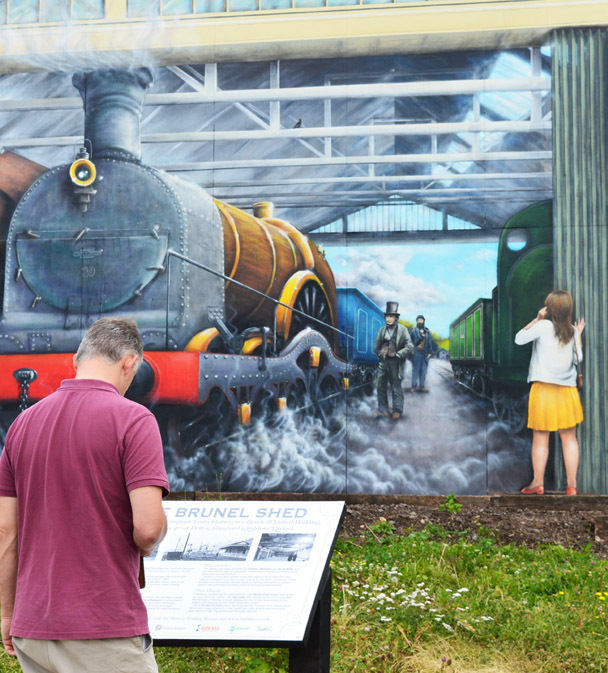 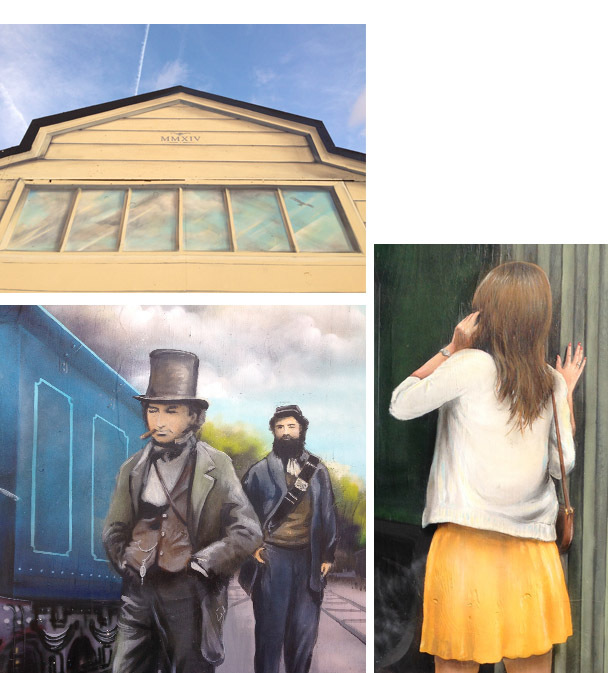 The triumphant trompe l'eoil mural proved a great public success. 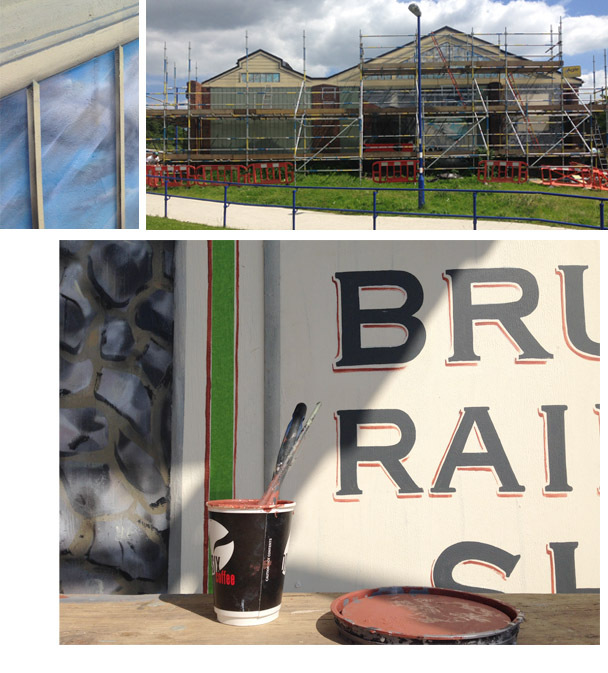 Sympathetic design with historical research, project management, production & logistics, Trompe l'eoil painting, sign writing, production of Information board.